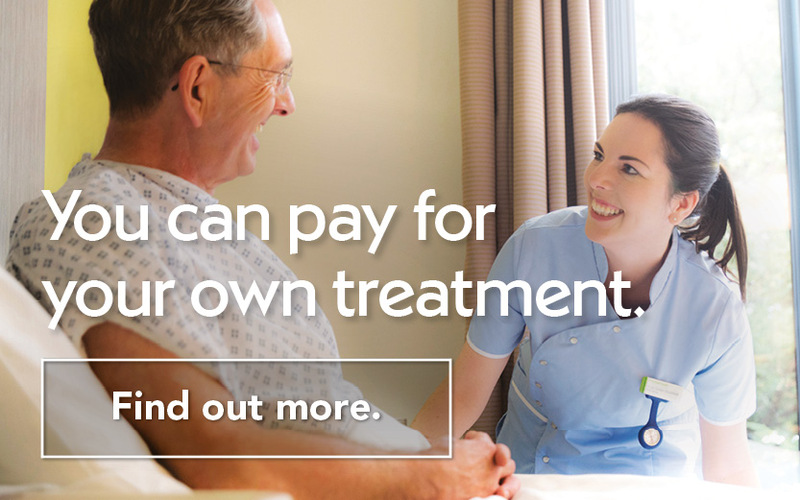 Why choose Nuffield Health Leeds Hospital for my knee replacement surgery? At Nuffield Health Leeds Hospital, we take a holistic, individual approach to looking after our patients. Following your knee replacement surgery, you'll have access to a qualified physiotherapist in hospital or at your local Nuffield Health gym. Your orthopaedic consultant will support and guide you from day one, overseeing your full recovery and rehabilitation. Private patients can use your car service to collect and drop you off after surgery. While in hospital, you'll stay in one of our relaxing private rooms with en-suite facilities. If you are suffering from pain and think a knee replacement could be the answer, please contact us to arrange a consultation with one of our experienced consultants. We now perform robot assisted partial knee replacement surgery at Nuffield Health Leeds Hospital, our latest innovation in orthopaedic care. 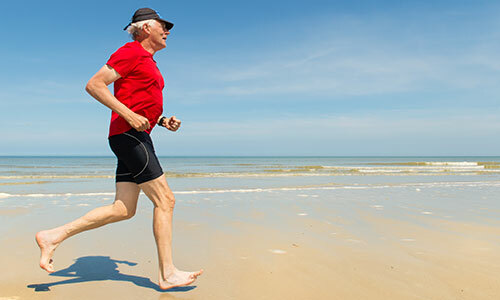 Why do I need knee replacement surgery? Over time, the surfaces on the knee joint can start to wear. This can be caused by arthritis or a previous injury to the knee. Arthritis is painful as joints become stiff and inflamed when the smooth lining between the joints gets damaged or wears away. Without the protection of this lining, the rough surfaces of your bones rub together as you move, causing the pain that is all too common to sufferers. Simple everyday tasks such as going for a walk or even getting dressed can become difficult. There’s no cure for arthritis and it can get worse with time. However joints can be replaced successfully, improving mobility and reducing pain. A knee replacement is a procedure to remove your damaged knee joint and replace it with an artificial one. This prosthesis can be made out of metal, plastic or ceramic. 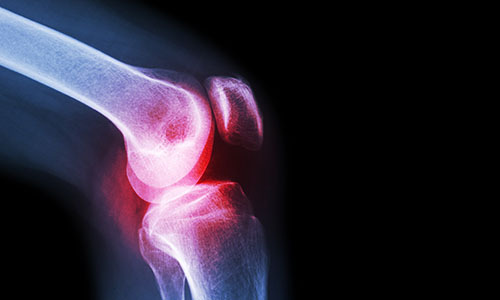 Following your surgery your knee should be much less painful and the joint should move much more smoothly. New advances in technology offer a greater range of implant types and sizes. Your orthopaedic surgeon in Leeds will choose the implant that best fits your body size and lifestyle. In some cases a CT scan or MRI scan of your knee may be used to create special guides that will help your surgeon accurately fit your prosthesis. Usually, you will stay in hospital for 2 - 4 days, but you may have to stay longer if necessary. When you are stable and comfortable, a nurse will take you back to your private room. Our physiotherapists will work with you during your stay to help give you the best start with your new knee. Keep wearing your support stockings - you may have to do so for 4 - 6 weeks. If you are in any doubt about your car insurance cover, it’s best to contact your insurance company. Is a bad knee getting in the way of the things you love? Mr Peter Gallacher, Consultant Orthopaedic Surgeon at Nuffield Health Shrewsbury Hospital, reveals four signs you may need a new one.